The 9000 Store, part of the Standards Stores, provides tools and training to assist organizations in achieving and maintaining certification to international standards from ISO, SAE, BSI, and others. Founded as the American Association of Textile Chemists and Colorists (AATCC), the Association continues to evolve to meet the needs of those in the ever-changing textile and materials industries. AATCC is internationally recognized for its standard methods of testing fibers and fabrics to measure and evaluate such performance characteristics as colorfastness, appearance, soil release, dimensional change, and water resistance. ABMA represents companies worldwide that design and build fuel combustion systems. Members include manufacturers of commercial/institutional, industrial and power-generating boilers, makers of related fuel-burning equipment, users of boiler and boiler-related equipment, and industry suppliers. The American Chemistry Council America's oldest trade association of its kind, representing companies engaged in the business of chemistry-an innovative, $760 billion enterprise that is helping solve the biggest challenges facing our nation and the world. SAE ITC TSC Aerospace Standards originate from the technical standards published by the UK?s SBAC and ADS, SBAC's successor organization. They form a collection of some 4500 aerospace standards covering airframe and engine standard parts (AS, AGS & ESC), reference sheets (RS) and technical specifications (TS). 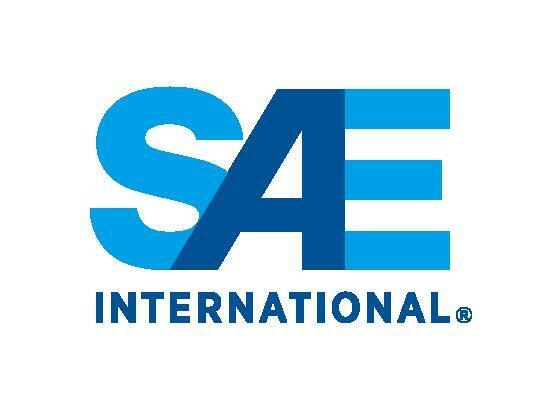 The documents also complement the aerospace standards published by SAE International. Founded by Thomas Edison and his associates in 1885, AEIC is one of the oldest organizations in the electric energy industry. AEIC committees encourages research and the exchange of technical information, ideas and solutions to succeed in the ever-changing electric industry. An ANSI/ISO-accredited standards developer, AIIM International serves users and suppliers of e-business technologies and services worldwide, with an emphasis on Enterprise Content Management, process management, enterprise portals, applications service providers (ASP), and data mining. AMCA International serves the air movement and control industry with certification programs, application manuals, product-rating manuals, test methods and ANSI-approved standards for industrial, commercial, and residential air-handling equipment. 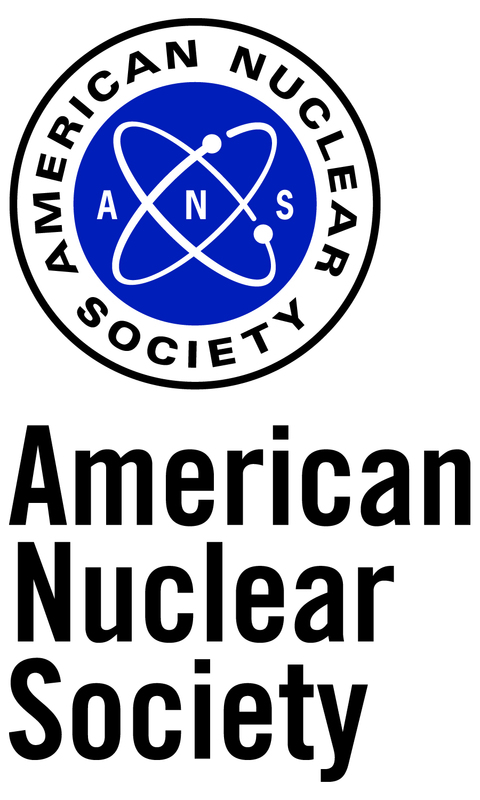 The core purpose of ANS is to promote the awareness and understanding of the application of nuclear science and technology. API is a leader in the development of petroleum and petrochemical equipment and operating standards covering topics that range from drill bits to environmental protection. These embrace proven, sound engineering and operating practices and safe, interchangeable equipment and materials. Many have been incorporated into state and federal regulations and adopted by ISO for worldwide acceptance. Standards Australia is an independent, not-for-profit organization recognized by the Australian Government as the peak non-government Standards body in Australia. The organization develops internationally aligned Australian Standards® that enhance the nation's economic efficiency, international competitiveness and contribution to community demand for a safe and sustainable environment. Standards Australia is the Australian member of ISO and IEC. Standards New Zealand is the National Standards Body of New Zealand, operating under the auspices of the Standards Council. As New Zealand's representative for the International Organization for Standardization (ISO) and the International Electrotechnical Commission (IEC), Standards New Zealand ensures that New Zealand has a voice in the international Standards community. New Zealand Standards are used by a diverse range of organizations to enhance their products and services, improve safety and quality, meet industry best practice, and support trade into existing and new markets. The majority of these standards are developed in partnership with Standards Australia. ASIS International is the leading organization for security professionals worldwide. An ANSI-accredited Standards Developing Organization, ASIS works with national and international standards-setting organizations to advance security practices worldwide through the development of standards and guidelines. ASME is a not-for-profit membership organization that enables collaboration, knowledge sharing, career enrichment, and skills development across all engineering disciplines, toward a goal of helping the global engineering community develop solutions to benefit lives and livelihoods. Founded in 1880 by a small group of leading industrialists, ASME has grown through the decades to include more than 130,000 members in 158 countries. 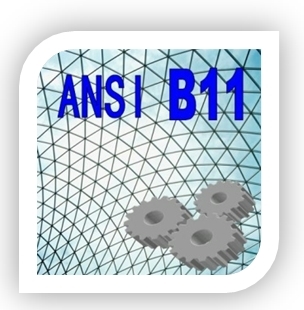 ASME BPVC is a not-for-profit membership organization that enables collaboration, knowledge sharing, career enrichment, and skills development across all engineering disciplines, toward a goal of helping the global engineering community develop solutions to benefit lives and livelihoods. Founded in 1880 by a small group of leading industrialists, ASME has grown through the decades to include more than 130,000 members in 158 countries. ASQ, the American Society for Quality, is the world's leading authority on quality. The principles of quality influence manufacturing and other industrial processes by focusing attention on how products and services define and meet technical specifications. Quality standards from ASQ advance learning, quality improvement, and knowledge exchange to improve business results, and to create better workplaces and communities worldwide. ATIS brings together leading global organizations in information and communication technology (ICT). Together, they work to advance industry priorities such as cloud services, device solutions, M2M communications, cyber security, network evolution, and more. ATIS is an ANSI-accredited standards organization and a major U.S. contributor to the International Telecommunication Union (ITU) Radio and Telecommunications sectors. AWC's mission is to increase the use of wood by assuring the broad regulatory acceptance of wood products, developing design tools and guidelines for wood construction and influencing the development of public policies affecting the use of wood products.The American Wood Council (AWC) provides an organizational structure for wood products companies and associations to work together on building codes and standards, green building policy issues, and a focused set of environmental guidelines. The American Wood Protection Association (AWPA, formerly the American Wood Preservers' Association) is a non-profit organization responsible for promulgating voluntary wood preservation standards. AWPA Standards are developed by its technical committees in an ANSI-accredited, consensus-based process that involves individuals from all facets of wood preservation: Producers of preservatives and preservative components; producers of treated and untreated wood products; end users of treated wood; engineers, architects and building code officials; government entities, academia, and other groups with a general interest in wood preservation. AWPA's Standards are universally specified for wood preservation in the USA, and are recognized worldwide. As a leader in welding education and technology development, AWS promotes best practices and works to advance the science and application of welding and allied processes such as joining, brazing, soldering, cutting, and thermal spray. AWWA is the world's largest organization of water supply professionals, representing the entire industry spectrum of treatment plant operators and managers, scientists, environmentalists, manufacturers, academicians, regulators, and utilities. AWWA standards cover hundreds of products and procedures. Representing manufacturers of hardware for the commercial building and construction industries, BHMA is the only U.S. organization accredited by the American National Standards Institute (ANSI) to develop and maintain performance standards for architectural hardware. The International Commission on Illumination - abbreviated as CIE from its French title Commission Internationale de l'Eclairage - is a technical, scientific and cultural organization devoted to the art and science of lighting. CIE publishes Standards, Technical Reports and Recommendations prepared by technical committees, with 100+ publications in print. Joint publications include the IEC/CIE International Lighting Vocabulary and ISO/CIE Standards. CIE has been accepted as representing the best authority on the subject and is recognized by ISO as an international standardization body. The Clinical and Laboratory Standards Institute (CLSI) is a global, nonprofit, standards-developing organization that promotes the development and use of voluntary consensus standards and guidelines within the healthcare community. For healthcare professionals, CLSI documents offer practical operating guidelines that lead to consistent practices, precision, and efficient use of resources. For industry, they promote effective use of healthcare technologies, and provide cost-and time-saving procedures for product development and approval. For government, these tools streamline the regulatory process. For the entire healthcare community, CLSI documents assure the levels of excellence and consistency that promote improved quality of life. Doxpub creates document templates modeled after those of successful regulated companies to help businesses reduce the record-keeping costs of FDA compliance. In addition to saving time, money and effort, Doxpub customers have the advantage of learning how peer organizations manage fundamental industry issues. As an ANSI-recognized standards organization, the Electrostatic Discharge Association (ESD) publishes documents covering electrostatic discharge in the electronics environment and other subject areas. Topics are covered in standards, standard test methods, standard practices, technical reports, and advisory documents. Cooperative efforts with JEDEC, military and government agencies and European standards bodies are also covered. Representing members from 54 countries, ETSI promotes worldwide standardization in telecommunications, broadcasting and information technology. The work of ETSI is closely aligned with the market needs of network operators, manufacturers, service providers, research institutions, and end users. FCI is an association of manufacturers of equipment for fluid (liquid or gas) control and conditioning. The institute is organized into product-specific sections that address issues relevant to particular products and/or technologies. These include regulators, secondary pressure drainers, control valves, pipeline strainers, solenoid valves, instruments, steam traps, and safety and relief valves. FM Approvals offers worldwide certification and testing services of industrial and commercial loss prevention products. Recognized and respected across the globe, FM Approvals certification assures customers that a product or service has been objectively tested and conforms to the highest national and international standards. Formerly the Gas Processor's Association, GPA serves the midstream energy industry by providing local, regional and global forums for standards development, industry research, education and improvements in operational safety. Publications include standards and methods for analysis, measurement and sampling of natural gas liquids. HEI standards are recognized worldwide as the leading standards for heat exchange equipment. The International Association of Plumbing and Mechanical Officials is an ANSI-accredited and ISO-certified standards body, with over 200 codes and standards covering plumbing, mechanical, swimming pools, backflow, solar and green energy systems. IAPMO codes help regulate the design, construction and maintenance of the built environment, protecting the health, safety and general welfare of a building's users. ICC founders include BOCA, ICBO and SBCCI. ICC works to develop a single, comprehensive, fully coordinated set of national model construction codes. Current ICC standards address a wide range of topics, including codes for international building, plumbing, mechanical systems, and energy conservation. Founded in 1998 through a partnership rooted in the collective leadership of the National Electrical Manufacturers Association (NEMA) and the National Association of Electrical Distributors (NAED) members, IDEA helps thousands of manufacturers and distributors find the most cost-effective methods for running day-to-day business--resulting in lower costs, higher profits and happier partners. The Institute of Environment Sciences and Technology (IEST) is the preeminent, non-profit, technical association for professionals in the field of Contamination Control/Cleanrooms, Environmental Testing, or Nanotechnology Facilities. Established in 1948, the International Maritime Organization (IMO) is the United Nations agency responsible for improving maritime safety and preventing marine pollution from ships. IMO publications cover essential topics for the maritime and shipping industries. These include facilitation of travel and transport, cargoes, marine environment protection, marine technology, maritime safety and navigation and rescue. Techstreet is an authorized reseller of IMO standards in PDF format. Download your documents today. The InterNational Committee for Information Technology Standards (INCITS) is the forum of choice for information technology developers, producers and users for the creation and maintenance of formal de jure IT standards. INCITS is accredited by, and operates under rules approved by, the American National Standards Institute (ANSI). These rules are designed to ensure that voluntary standards are developed by the consensus of directly and materially affected interests. INCITS is sponsored by the Information Technology Industry Council (ITI), a trade association representing the leading U.S. providers of information technology products and services. ITI members employ more than one million people in the United States and in 2000, their revenues exceeded $668 billion worldwide. Founded in 1945, The International Society of Automation is a leading, global, nonprofit organization that is setting the standard for automation by helping over 30,000 worldwide members and other professionals solve difficult technical problems, while enhancing their leadership and personal career capabilities. Based in Research Triangle Park, North Carolina, ISA develops standards; certifies industry professionals; provides education and training; publishes books and technical articles; and hosts the largest conference and exhibition for automation professionals in the Western Hemisphere. ISA is the founding sponsor of The Automation Federation (www.automationfederation.org). JIS covers industrial and mineral products, comparable to standards established by various industrial associations for specific needs, or standards established and used by companies (operation manuals, products specifications etc.). The need for common practices in companies of the same industrial sector leads to the establishment of industrial association standards, and the same need in terms of wider applications promotes the establishment of JIS. MSS is the only organization in the world dedicated exclusively to the technical needs of the valve and fittings industry. Standards and codes are written and revised by 25 technical committees and address topics such as valves, valve actuators, pipe fittings, flanges, and pipe hangers. Formerly the National Association of Corrosion Engineers, NACE International represents members from 92 countries and is the largest organization in the world dedicated to the study of corrosion. NACE works to protect people, infrastructure, the environment, and the economy from the effects of corrosion by promoting engineering and research. Approximately 100 standards cover subjects such as laboratory corrosion testing, corrosion prevention and blast cleaning. NADCA: The HVAC Inspection, Maintenance and Restoration Association, otherwise known as the National Air Duct Cleaners Association (NADCA) was formed in 1989 as a non-profit association of companies engaged in the cleaning of HVAC systems. NADCA's mission has expanded to include representation of qualified companies engaged in the inspection, cleaning and restoration of HVAC systems. NADCA standards and certification are specified on a regular basis to ensure HVAC systems are assessed, cleaned, and restored in a safe and efficient manner. The National Board of Boiler and Pressure Vessel Inspectors was founded in 1919 to promote greater safety to life and property through uniformity in the construction, installation, repair, maintenance, and inspection of pressure equipment. Publisher of the National Board Inspection Code (NBIC), this American National Standard has been adopted by most states and cities, all Canadian provinces, and federal regulatory agencies including the US Department of Transportation. It is the only standard recognized worldwide for in-service inspection repairs and alterations of boilers and pressure vessels. As the world's largest and most influential fire safety organization, NFPA publishes approximately 300 codes and standards intended to prevent the loss of life and property. Members include more than 66,000 fire safety professionals. The National Research Council of Canada (NRC) is the Government of Canada's premier research and technology organization. NRC works with clients and partners to provide innovation support, strategic research and scientific and technical services. The Natural Stone Council is a collaboration of businesses and trade associations that have joined forces to promote the use of natural stone in commercial, residential, government, institutional, educational and all types of applications interior and exterior. The Outdoor Power Equipment Institute (OPEI) is an international trade association representing more than 100 small engine, utility vehicle and outdoor power equipment manufacturers and suppliers. OPEI is a recognized Standards Development Organization for the American National Standards Institute (ANSI) and active internationally through the International Standards Organization (ISO) in the development of safety and performance standards for outdoor power equipment. PRCI was established in 1952 as the Pipeline Research Committee of the American Gas Association (AGA). Today, PRCI conducts collaboratively funded research programs that enable energy pipeline companies around the world to provide safe, reliable, environmentally compatible and cost effective service to meet customer energy requirements. Over 450 PRCI reports cover 6 major disciplines and serve to identify, prioritize and implement the industry's core research objectives. Welcome to the RTCA Online Store. All orders for electronic and paper documents may be placed via this secured site. For additional ordering options and other details regarding shipping and delivery, please refer to the Payment and Shipping Information link on the left side of this page. 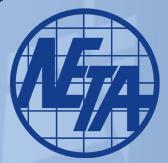 RTCA Members may download electronic documents at no charge and receive a 60% discount on paper documents. SAE standards are internationally recognized for their role in helping ensure the safety, quality, and effectiveness of products and services across the mobility engineering industry. They contain detailed production and interoperability guidelines; clarify legal and regulatory grey areas; condense product development cycles; ensure consistency and high quality in manufacturing; and lead the way to maximum performance. SIA is the ANSI-approved developer of standards for the scaffold and access industry. SIA standards contain technical specifications developed and tested by scaffold experts, which prescribe rules governing the safety, construction, design, testing, care and use of various types of scaffolds. SEPT specializes in meeting the needs of the professional community by providing checklists, templates, reports, books and consultation services for many critical standards. An ANSI-accredited standards developer, the Security Industry Association (SIA) creates standards that are open, enable easy integration of diverse components, and provide a means to establish predictable levels of performance. Participants shape the future of the industry, acquire industry intelligence, and enable rapid acceptance of products in new markets. The Steel Joist Institute, a nonprofit organization of active joist manufacturers and other individuals and entities connected to the industry, was founded in 1928 to address the lack of uniform joist standards within the industry. In addition to setting standards and developing regulations for the steel joist industry, the Institute invests thousands of dollars in ongoing research and offers a complete library of training and research aids. The Institute also holds continuing education seminars, provides technical information and promotes the use of steel joists through a national communications program. TAPPI is the leading technical association for the worldwide pulp, paper, packaging, and converting industries. TAPPI Test Methods and Technical Information Papers (TIPs) provide the most comprehensive collection of reliable technical information in the paper processing industry. The Masonry Society is an international gathering of people interested in the art and science of masonry. We are a professional, technical, and educational association dedicated to the advancement of knowledge on masonry. TMS members are design engineers, architects, builders, researchers, educators, building officials, material suppliers, manufacturers, and others who want to contribute to and benefit from the global pool of knowledge on masonry. Over 300 analytical methods and procedures support the installation, implementation, maintenance and safe operation of UOP-licensed processes. These test methods are a valuable resource to help users analyze feedstocks and various process streams. Considered an industry standard in its own right, they supplement ASTM, API, and other important industry standards and publications. In 1974, the American National Standards Institute (ANSI) approved the scope of activity for the X9 Standards Committee on Banking, as "Standardization for Facilitating Banking Operations." Today, the Accredited Standards Committee X9 (ASC X9, Inc.) operates 5 technical subcommittees and 20-30 technical working groups that develop financial industry standards and guidelines. ASC X9 standards are widely used and cited or required by the Federal government for use in financial procedures and transactions. In addition, X9 standards are the basis for many international standards used in facilitating global commerce.